The UN said Tuesday it had sent a team of investigators to Mali's restive Mopti region, where more than 150 people were massacred this weekend. 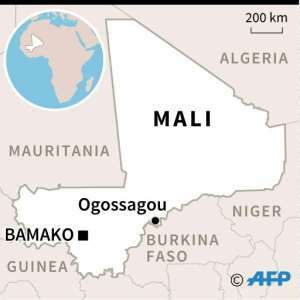 The raid took place on Saturday in the village of Ogossagou, home to the Fulani herding community, near the town of Mopti in central Mali. The UN rights office said at least 153 people were killed and 73 injured in the attack. Local officials and security sources told AFP on Monday the death toll had climbed to 160. The attack marked a "significant" surge in "violence across communal lines and by so-called self-defence groups apparently attempting to root out violent extremist groups", said UN rights office spokeswoman Ravina Shamdasani. In the Mopti region alone, attacks had led to "some 600 deaths of women, children and men, as well as thousands of displaced persons" since March 2018, she told reporters. More than a third of those killed had died since the beginning of 2019, she added. The UN has sent a team of 10 human rights officers, a child protection officer and two crime scene investigators to the Mopti region to investigate Saturday's attack, Shamdasani said. "We are in direct contact with the authorities," she said adding that the UN had offered to help to "bring the perpetrators to justice in order to break the circle of impunity". 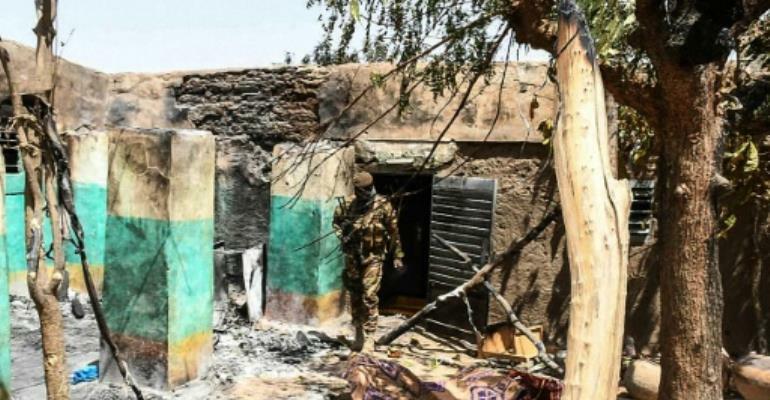 A militia from the Dogon ethnic group -- a hunting and farming community with a long history of tension with the Fulani over access to land -- is suspected of having carried out Saturday's raid. Shamdasani said that "on many occasions the attacks are said to be motivated by a desire to root out individuals linked to violent extremist groups". Jihadist raids remain a persistent threat, and in the centre of the country, an ethnic mosaic, the attacks have taken a bloody toll on groups with a history of rivalry. The Fulani, who are mainly Muslim, have been accused of supporting a jihadist preacher, Amadou Koufa, who rose to prominence in central Mali four years ago. So-called self-defence groups have emerged in the Dogon community with the declared aim of providing protection against the insurgents. "There is this development of stigmatisation... They are deliberately targeted," Shamdasani said. On Sunday, the Malian government announced the dissolution of one Dogon militia. The victims of Saturday's attack, many of them women and children, were shot or hacked to death with machetes, a security source told AFP. Christophe Boulierac, a spokesman for the UN children's agency UNICEF, told reporters in Geneva that around one third of those killed were children, and that 31 children were also injured. "This tragic killing and maiming of defenceless children is on an unprecedented scale," he said. Saturday's massacre was the deadliest attack in Mali since the 2013 French-led military intervention that drove back jihadist groups who had taken control of the north of the country.